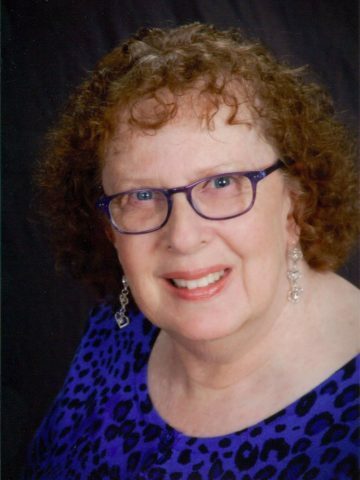 On Saturday, June 9, 2018, Patricia “Pat” Elaine Haniford (Scheub), loving wife, mother, grandmother, sister, and friend, passed away suddenly from pancreatic cancer at the age of 71 years. Pat was born June 19, 1946 in Gary Indiana. Pat will be remembered for her faith, her amazing cooking and baking, and her love of sports (especially the Chicago White Sox), travel, music, chocolate, and her family and friends. She was her family’s foundation and Pat provided her unyielding love and support to her family and church (Hendersonville First United Methodist Church). Pat showed her dedication to her country and great resilience and flexibility as a military spouse, supporting her husband Joel as he served a combined 20 years in the Navy and Air Force. Pat will be lovingly remembered by Joel, her husband of 48 years, and her children, Kimberly (Jim), Chris, and Kelly (Ben). Pat will also be fondly remembered by her eight grandchildren, Kaitlyn (Scott), Aaron, Sophie, Maddie, Josh, Tabitha, Jocelyn and Liam, by her sisters Bonnie and Nancy (Craig), by her sisters-in-law Mary Ann and Virginia, by her brothers-in-laws Larry and John, and by her loving puppy Ebony. Pat will also be forever cherished by her numerous nieces, nephews, extended family and dear friends. She was preceded in death by her parents, Paul and Dolores Scheub and her brother Jimmy. A visitation will be held on Saturday, June 16, 2018, from 10 AM until 12 PM, at Hendersonville Funeral Home (353 East Main Street, Hendersonville, TN 37075), where a celebration of Life will be follow at 12 noon. In lieu of flowers, Pat’s family requests memorial donations in memory of Pat to be made to the Lustgarten Foundation at www.Lustgarten.org/donate to fund pancreatic cancer research. Loss and you all are in our prayers and thoughts. I’m very sorry for your sudden loss. Please accept my prayers and condolences. My God bring comfort and healing to your family during this time of loss. You are in my thoughts and prayers. Kelly and the Haniford Family–Jane and I are sorry to hear of your loss and are wishing you peace and comfort in remembering your mother. We will keep you in our prayers. Kelly and family – Our heartfelt condolences on the loss of Pat – a loving wife, mother and grandmother. Our prayers and praise go out as you celebrate the life and memory of a true member of our Air Force Family. Beth and my condolences to you Kelly and your extended family. Pat’s life was a life lived well and rightly, supporting family, community and country with love and faith. My deepest condolences to you and your loved ones on passing of your Mother – a woman who lived a life centered on love, service, family and faith. Condolences to you and your family in the sudden passing of your mother. Wishing you peace and comfort as you celebrate her life. What an incredible treasure to lose! Pat is a wonderful, gentle spirit with a loving, optimistic approach to life. My heartfelt condolences to Joel, Kim and their families. I know her loss leaves a huge void. Prayers of peace and comfort as you begin to process this sudden, extraordinary loss. So sorry Joel for your loss no words can express the sadness with the loss of a spouse and mother. Prayers for your comfort and blessings. Kelly and family–So sorry for your loss. The thoughts and prayers of the Brodrick family are with you in this difficult time. Kelly: Both I and your 502 ABW family grieve your loss. Your Mom, like you, was a part of our military family. Know that you all are in our thoughts and prayers for comfort. Kelly, I am so very sorry for your loss. It sounds like your mother was an amazing woman who will be missed dearly. I trust that you have many wonderful memories of her to help you through these tough times. My heartfelt sympathy to Joel and the entire family. I adored Pat and you too, Joel! It was always wonderful to see her beautiful smile when you two visited Grace! May the Lord sustain all of you through this sad time. So sorry for your loss and our deepest condolences. Your family is in our prayers. I loved playing with her in the Grace Praise band. Joel we were shocked to hear of your loss of Pat. We do know she was welcomed in the Saviors loving arms. We will keep you and your family in our prayers. With Love In Christ Pastor Joe and Sheri Jones. Kelly, my heartfelt condolences go out to you and your family. May the many fond memories of your mother’s life sustain you and your family members during this difficult time.